[GIVEAWAY] Win All Show Access & Backstage Tickets to KLFWRTW2017 ! Click HERE and TELL us "WHERE & WHEN is the KLFWRTW2017", It's Just That Simple! 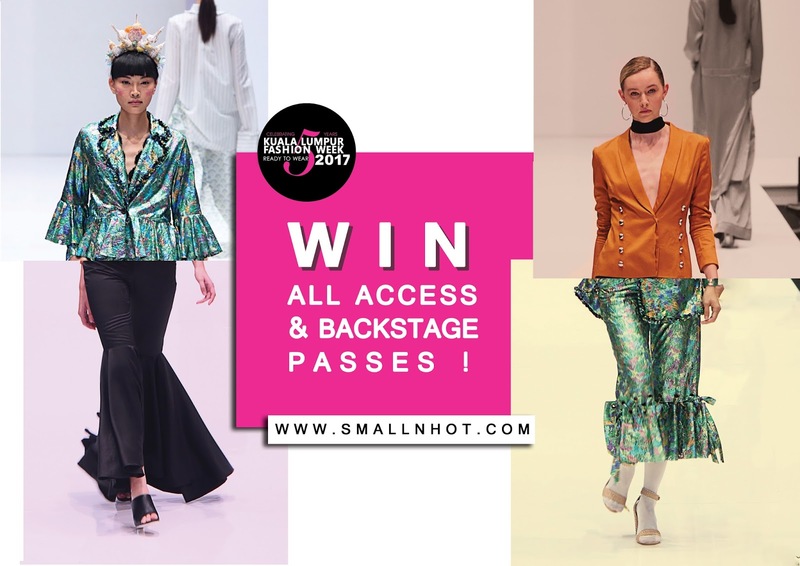 THREE  lucky winners with the correct answer will walk away with A PAIR of All Show Access & Backstage Passes to KLFWRTW2017, where you can attend any fashion show you like and backstage access from 16 Aug to 20 Aug 2017. 1. Giveaway starts from 24 July 2017 to 1 Aug 2017 (11:59pm). 3. THREE  winners with the correct answer will be selected randomly via Random.or. 5. Winners will be entitled to a pair of all access & backstage passes to Kuala Lumpur Fashion Week Ready To Wear 2017. 8. Kuala Lumpur Fashion Week Ready To Wear 2017 & Small N Hot reserve the right to substitute prize of equal or greater value at any time.